13 amazing Bollywood movies Dog Lovers need to watch! Loving loyal and fiercely friendly, our furry pals may have a limited vocabulary but they do know love (often better than their human counterparts). 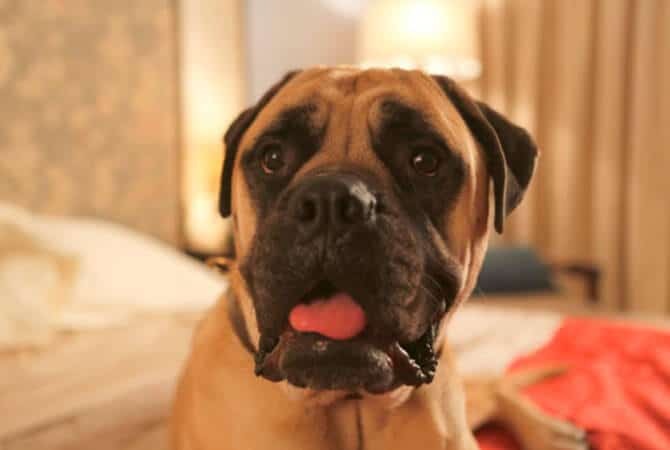 Whilst Hollywood has celebrated dogs for long in their stories, Bollywood too isn’t far behind. 1. Chillar Party (2011) This National-Award winner is about a group of kids living in a housing society who initially take a dislike to Fatka – a street kid who lives in the society and cleans cars, and his dog Bhidu, a stray. After some initial resistance, the kids start getting along and soon Fatka and Bhidu become a part of the gang. However, the problem starts when a politician announces a plan to catch and terminate all stray dogs – leaving the kids with 30 days to get an NOC(No-Objection-Certificate) from their society to save the dog. What follows is a slew of innovative attempts by kids to get the signatures culminating in a chaddi march and TV debate with the minister which ultimately helps them change hearts of society members and save Bhidu. 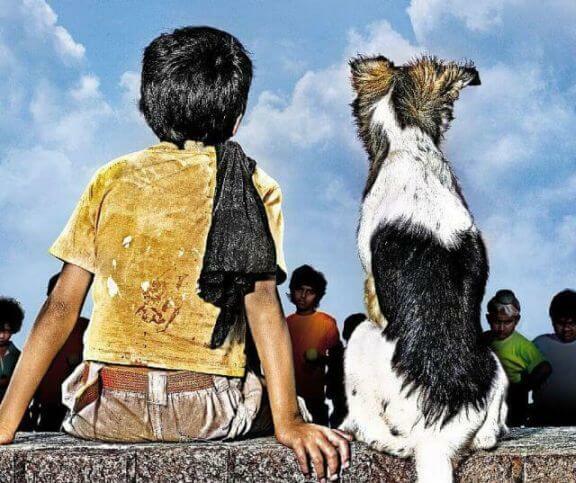 This movie celebrates the stray dogs and hence is our favorite of the lot! 2. 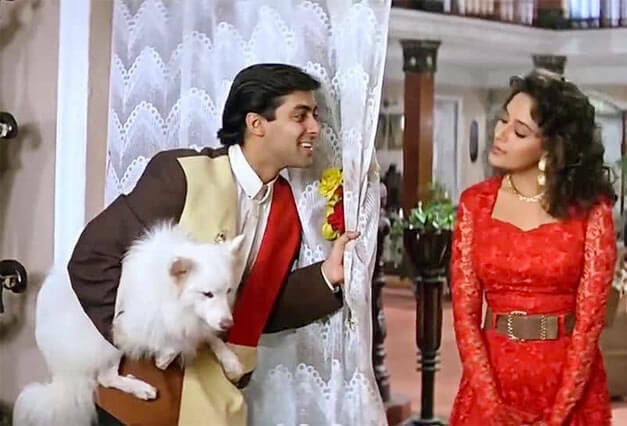 Hum Aapke Hai Kaun (1994) Sooraj Barjatya’s cult classic wouldn’t have become the legend that it is without furry assistance from Tuffy, the Indian Spitz. Tuffy not only made the audience laugh with his biased umpiring antics and as a gullible guard of groom’s shoes, but he ran for aid when his mistress fell down the stairs, and most importantly, reunited the lovers in a dramatic sequence. 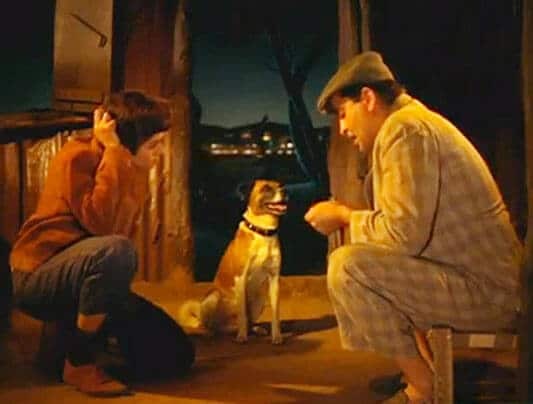 The movie’s climax is almost impossible to imagine without the dog’s role. Rado (the dog who played Tuffy) was adopted by Madhuri Dixit and died at the age of twelve in 2000. 4. 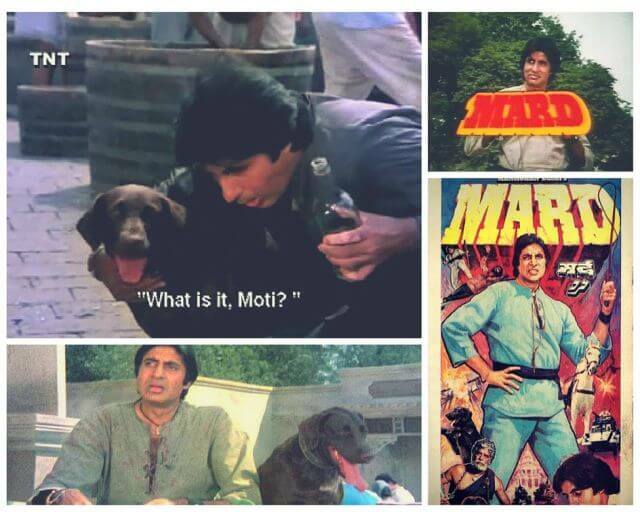 Teri Meherbaniyan (1985) Moti, the dog is the emotional epicenter of this superhit movie which pushed boundaries like before. Imagine a Bollywood movie where the lead pair gets murdered mid-way but the dog carries on the movie on his paws. The movie begins with the young Moti being rescued by Jackie Shroff, and the whole film seems to be a picture of their love. Unfortunately, Ram is murdered by the villains and that’s when fiercely loyal Moti avenges his death by going after each villain – biting, barking and mauling them to death. But that’s not all, Moti is shown performing last rites of Ram, brooding over his samadhi and even leading police to crucial evidence in the murder. The title song of the movie is every dog parents’ ode to their pooches. This 80’s drama needs a reboot to go down well with today’s audiences but the core idea remains the same: love, care, and loyalty. 5. Entertainment (2014) This is the rare Bollywood no-brainer where a canine star doesn’t plays second fiddle to the lead star but rather is the top dog! 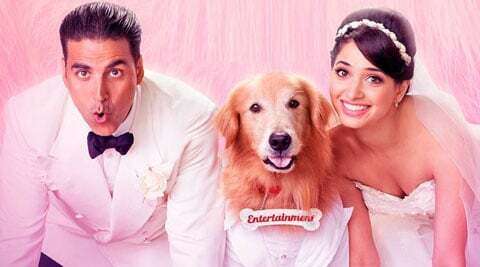 Akhil (Akshay Kumar) discovers that his late biological father (a billionaire), has willed his entire estate to a dog (Entertainment). He tries to kill him to get his inheritance only to end up developing a deep bond with the dog due to his fierce loyalty. The movie culminates with a melodramatic scene which praises the role played by dogs in human lives – something which every dog lover and parent would endorse. 6. 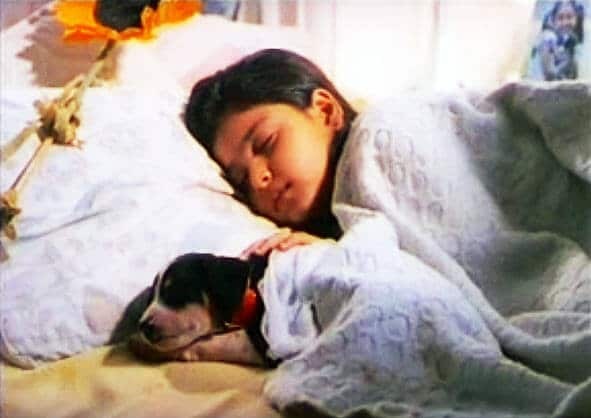 Halo (1996) Santosh Sivan’s Halo is an innocent coming of age movie about a 7-year-old girl (Benaf Dadachandji) looking for her lost pup. On an eventful day, Halo goes missing and thus begins Sasha’s quest to find her dog which takes this little girl through the shady underbelly of Mumbai city dealing with dog catchers, smugglers and gang of street kids among other things. The poignant quest ultimately leads her to an elderly couple only to realize that they have a disabled kid who has taken a fancy to the pup. Even though Sasha has been dying to get her pup back, she realizes that the kid needs her pup more and thus forfeits her ownership… such magnanimity! No wonder, this National Award winner is one of the best children’s’ movie produced in India. 7. Maa (1992) A rip-off of the Hollywood hit Ghost, this Bollywood adaptation has Dobby, the dog (now we know where J.K. Rowling got the idea from) who could see the spirit of her dead mistress. The dog followed instructions from the spirit and thus protects the infant! 8. Khoon Bhari Maang (1988) This revenge drama of a woman undone by her human relations, has animals at the forefront (barring a crocodile) as they can see through the masked appearances of the villains. By the time the movie reaches the climax, the dog martyrs himself by taking a bullet to the chest, thus saving Rekha’s life. 9. Betaab (1983) The ever volatile Sunny Deol plays a rather toned down farm boy with a cute Labrador, Bozo. His constant companion through highs and lows, Bozo seems to understand Sunny better than even the actress. But that’s not all, in an action sequence where the bad guys try to kidnap Sunny’s love interest Roma, Bozo plays the dog who saves the day! 10. 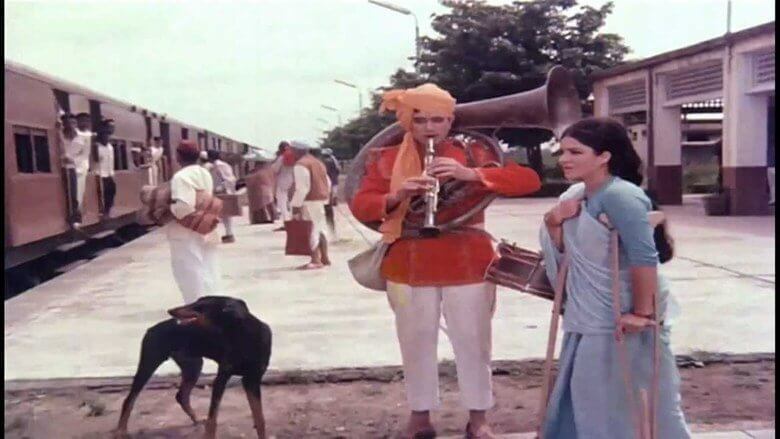 Mard (1985) Superstar Amitabh Bachchan is accompanied and aided by side heroes: a horse and the dog, with the latter making a definite literal statement by urinating on the face of British colonial oppression. 12. Dil Dhadakne Do (2015) Aamir Khan made no bones about voicing a real life dog in ‘Dil Dhadakne Do’. Pluto, the philosophical dog of the Mehra clan showcased the family and the various characters through his ever-observant narratives. Aamir Khan, the dog lover, confessed in an interview that he fondly remembered his pariah dog Peanuts as he essayed this voice-over. Voiced by Aamir Khan, Pluto was the most loved character of the movie. 13. 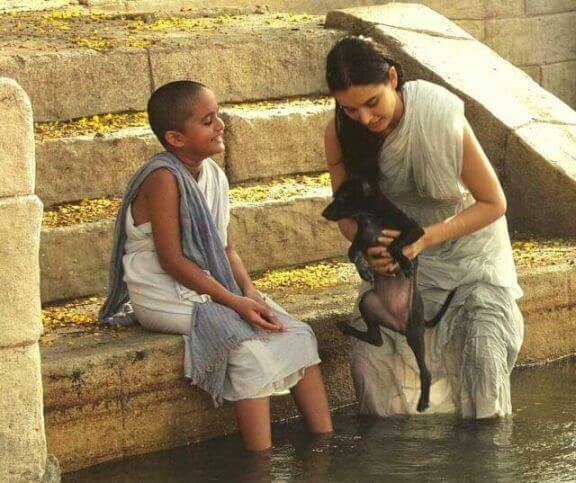 Water (2005) In the melancholic landscape that Deepa Mehta’s Water paints, Kalu the puppy is the only colour of hope. Devoid of basic human rights, Kalyani(Lisa Ray) discovers love and friendship with the stray puppy she hides in her room. Kalu leads Kalyani to Chuiya, a child widow and lately Narayan (John Abraham), her love interest. A beautiful movie on the time and age that pre-independence India was. Kalyani and Chuiya, the widows in the movie Water, had only a puppy to answer as a friend. Did we miss your favorite Bollywood movie dog? Let us know in the comments section. Posted on January 8, 2016 January 13, 2016 Author Abhishek JoshiCategories Dogged reviews! Loved the collection! I can totally relate these movies with myself as I love my Hank, “a Rottweiler”. I am a big dog lover… This is really a nice and informative, containing all information and also has a great impact on the new technology. Thanks for sharing it. Next Next post: You need to know what this Italian Town did for its dogs!